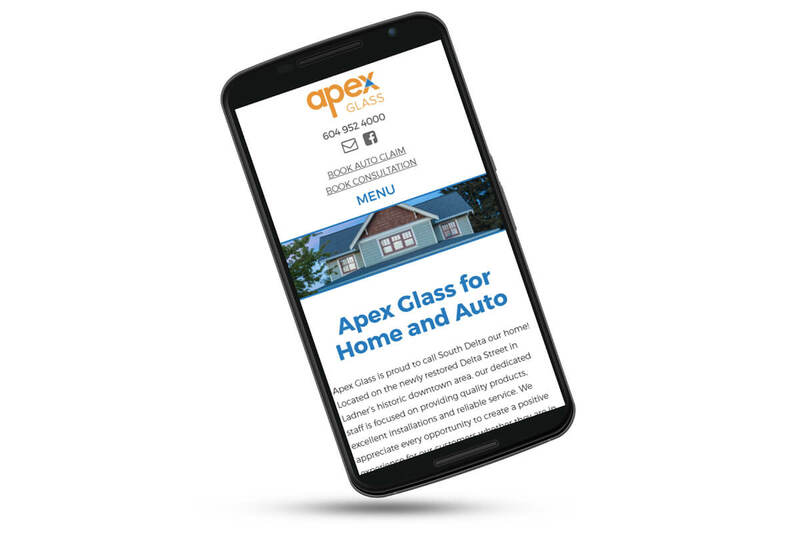 Apex Glass | NetClimber Web Design Inc.
Apex Glass has been a client for many years, and has previously used our custom CMS for their site. 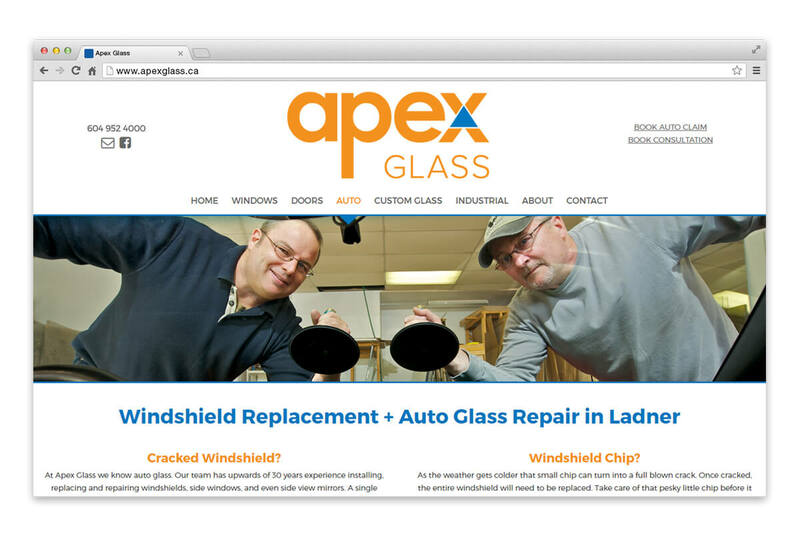 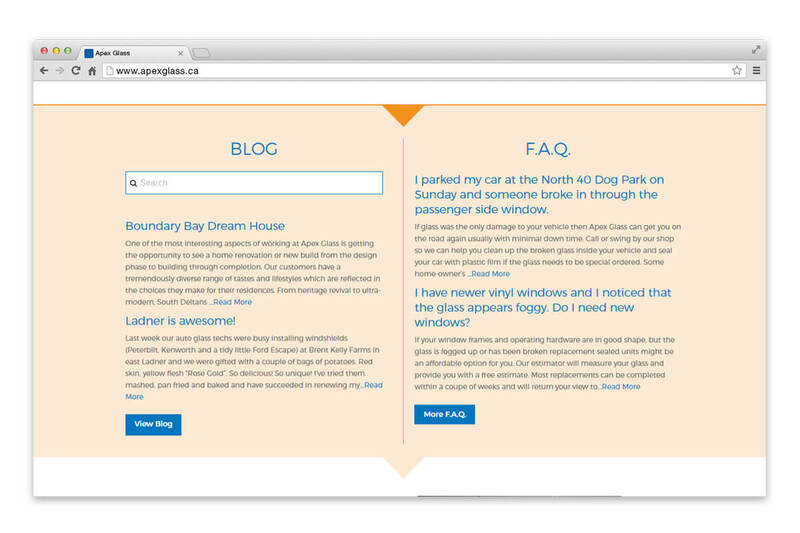 Apex Glass liked most things about their old site, but wanted an updated look and updated platform. 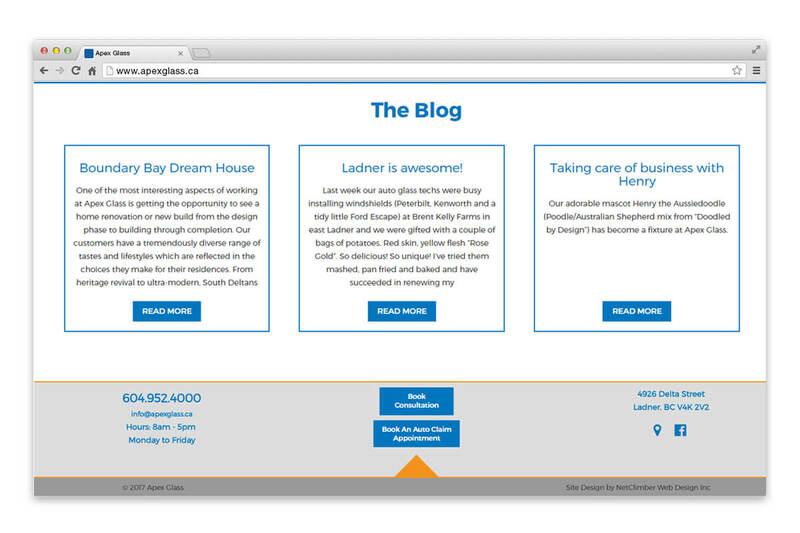 Using WordPress’s X theme with Cornerstone, we took their existing concept and created a stronger visual presence, utilizing a full width display and adding responsive behavior to benefit viewers on mobile and tablets. 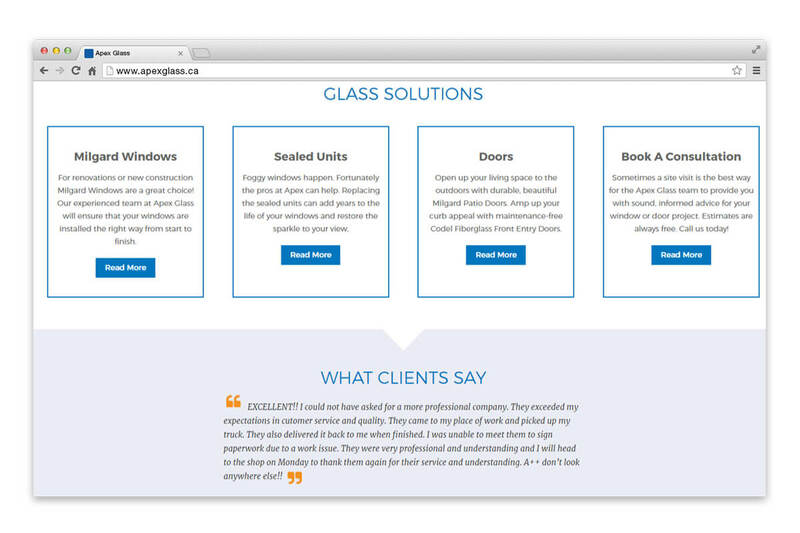 We retained the optimization of their site and ensured it carried the company branding they have worked so hard to build.